Just onto my new Mana 10', and seeking any advice on minimising yawing during paddle strokes on a shorter (for me...) SUP. Any tips on paddle technique to keep the '2 strokes then switch' effect would be very much appreciated! 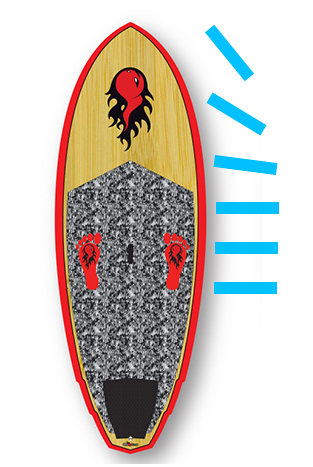 I know this board well and there are a few things that will help with paddling without so much yawing..
IMO the biggest thing to help is to stand slightly more forward on the board.. Most people I see paddling stand at the handle or slightly behind the center of the handle.. 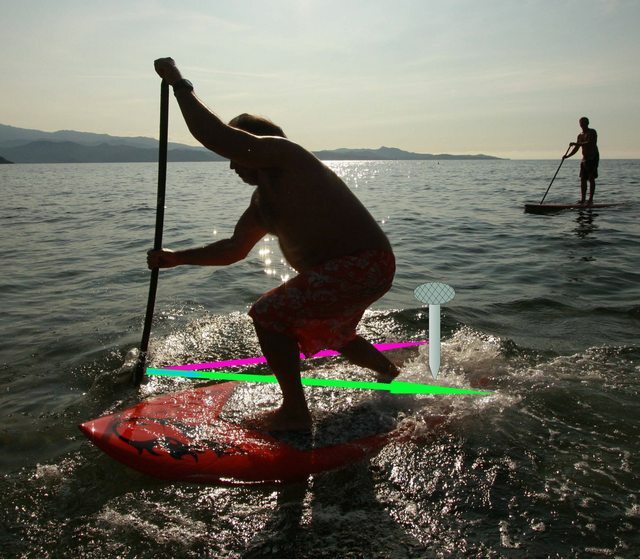 Try standing slightly ahead of the center of the handle.. You might think the nose of the board is a bit low but you will get used to that and you should notice a big difference paddling.. Try paddling with the paddle as vertical as you can and doing this requires a slight twist in your upper body to get your top left hand over the right rail and visa-versa with your right hand.. Try not to paddle past your feet.. Short strokes tend to cause less yawing than long strokes.. Another tip is to weight the same rail of the board that you're paddling on.. So if you're paddling on the right side you need to put more weight on your right foot.. I found that if you lifting your left foot heel slightly will help.. and visa-versa paddling on the other side.. You can also controle yawing with a change of fins to a slightly bigger one.. or by moving the fin further back in the box.. Hope these tips help.. Thank you very much DJ Much appreciated!! Are there any Youtube vids that you suggest for extra paddle technique advice DavidJohn? have the shaft in a vertical plane. This is the main issue. enter the water with the blade rotated rear face turned to the rail. Note that this reduce the paddling efficiency and is not really needed for 10' + boards. It is more a technique for very short SUPs, and to create "anti row", for instance to aim for a mellow section of whitewater without having to change paddle side. Of course, you must also apply the general paddling techniques: catch as far froward as possible, apply effort in the 1rst foot of paddle travel, get the paddle out of the water at the feet, not beyond. I forgot what we were talking about after those first two pictures..